Chester County has great places to live, work and connect. And the county’s municipalities aren’t going unnoticed these days. For instance, Malvern was named a “Classic Town” recently by the Delaware Valley Regional Planning Commission (DVRPC). The regional planning commission stated: “A desirable mix of Victorian charm and modern amenities makes Malvern an ideal Classic Town.” According to the Daily Local News, the DVRPC has designated 22 municipalities in the Greater Philadelphia region as Classic Towns. In addition to Malvern, other Chester County municipalities that have received this designation include Kennett Square, Oxford, Phoenixville and West Chester. Malvern also recently made the top 10 “hottest” suburbs list along with West Chester and Phoenixville in a Philadelphia Magazine article. 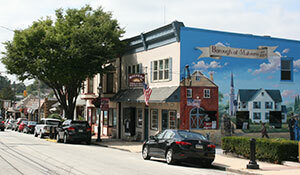 The magazine selected towns in the nine-county Greater Philadelphia region. Speaking of Phoenixville, the borough made a Student Loan Report list of the top 250 places in the United States to pay off student debt. The list includes places that are considered affordable and have well-paying jobs. 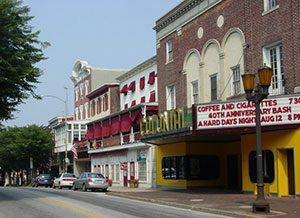 West Chester and Phoenixville were ranked the second and fifth most exciting places in Pennsylvania, respectively, according to Movoto.com. In addition, West Chester was nominated as one of the 10 semifinalists for the 2017 Great American Main Street Award, according to Patch.com. In its news release about the semifinalists, the National Main Street Center noted West Chester also has been named the Best New Shopping District by Philadelphia Magazine and won a Distinctive Destination award from the National Trust for Historic Preservation. The winners of this year’s contest will be announced at the Main Street Now Conference in Pittsburgh in May. In the southern and western ends of the county, Oxford and Parkesburg, respectively, were nominated for the America’s Main Streets Award, a contest being run by Independent We Stand. Overall, Chester County was ranked the fourth happiest in the nation and the healthiest in Pennsylvania in 2016. And there’s an upcoming opportunity for all Chester County municipalities to receive more accolades this year. 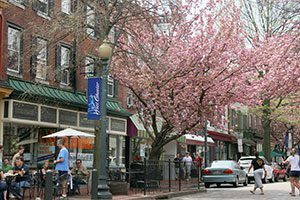 The Pennsylvania Chapter of the American Planning Association is looking for nominations in two categories this year: Great Public Spaces and Great Streets. Nominations should be submitted online by April 18. Click here for a copy of the electronic submission form, guidelines and criteria. Downtown West Chester was recognized as one of the Great Places in Pennsylvania in 2014, and this is an opportunity for another local municipality to be highlighted in a similar fashion.